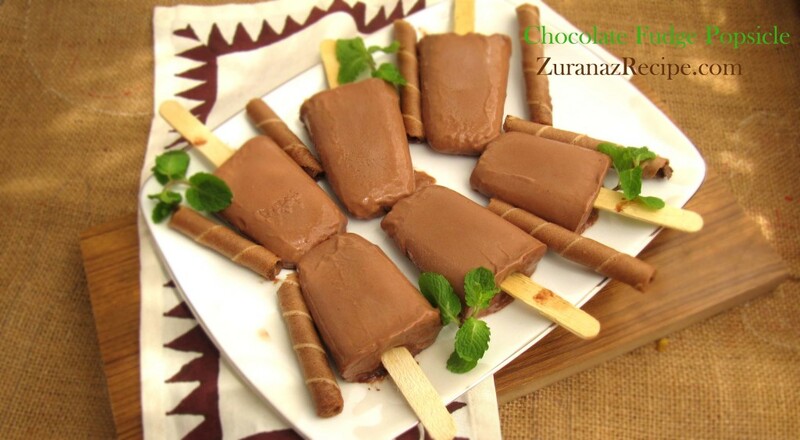 Today we will learn how to make delicious Creamy Chocolate Fudge Popsicles popsicles! 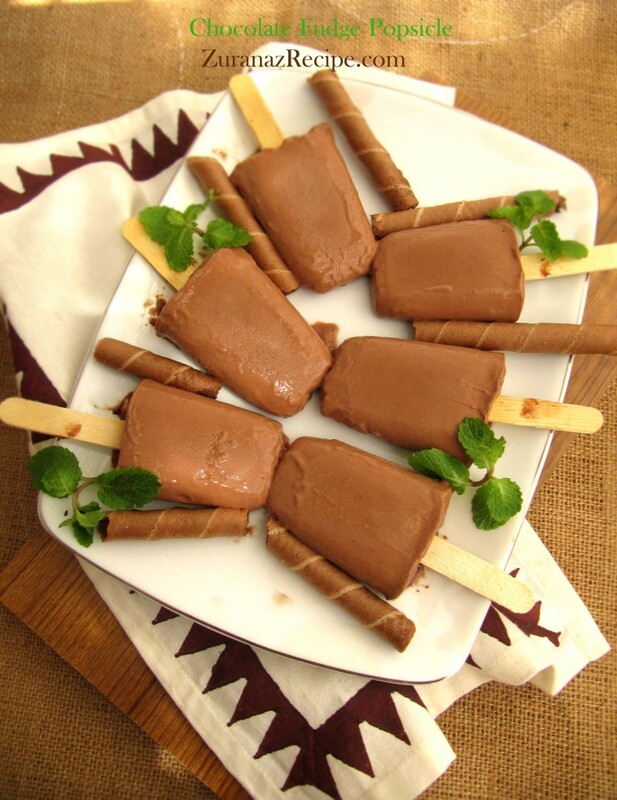 This creamy and silky Chocolate Popsicles is great for kids. This recipe makes around 6 medium popsicles. 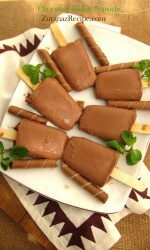 Creamy Chocolate Fudge Popsicles is a perfect summer cooler ice-pops made with few ingredients. I hope you will try it! In a bowl mix cocoa powder, salt and cornflour. Keep aside. In a medium saucepan, whisk together milk, cream, condensed milk and vanilla essence. Whisk 2 minutes until a little foamy. 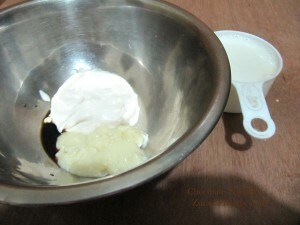 Now whisk cocoa and cornstarch mixture until smooth and creamy. Bring to a boil over medium-high, stirring constantly, and cook 1 minute. Pour into six 3-ounce ice-pop molds and insert ice-pop sticks. Leaving a little room at the top of the molds. Stick the popsicle handles into the liquid. Freeze until pops are solid, about 6 hours. If you don't have popsicle molds, pour into cups and cover with plastic wrap. Poke a small hole through the plastic with a popsicle stick, dunking it in the liquid. You can use an ice cube tray to make mini-popsicles. Cover the tray with plastic wrap and stick a toothpick through it into each cube. Here you can use sugar instead of condensed milk.